When will the The Mistle-Tones and the original Christmas List with Mimi Rogers be available on DVD they are my favorite movie. Please release mistletones on Amazon or DVD!!!! I bought the movie The Mistle Tones on DVD off of eBay and it came from England and I can’t watch it on my DVDs player cause they make DVDs different in England ! So I wasted my money ! That is a bummer 🙁 If you have iTunes you can buy and watch it from there. Please release this movie on DVD! I love this movie and the 12 Dates of Christmas! Why are they not on DVD yet? Other movies were made after these two and they are available for purchase. I want the pleasure of watching them when I’m home. Hi Robin, ABC Family is really slow about putting their movies to DVD. Very few make it to DVD, which is pretty disappointing especially when they choose not to air them. I have never understood the movies which they select to put out on DVD. Holiday in Handcuffs, Christmas in Boston and Christmas Cupid are all examples of movies that should not have been put out on DVD while ABC “Family” disregards movies like The Mistle-Tones and 12 Dates of Christmas. Who knows what logic they used to come to those decisions….. Please release this on DVD. I would love to add this to my DVD collection and also purchase for friends as gifts. It makes me smile each time I watch it. They have this movie on Netflix I do believe! Looking forward to the day when they put The Mistletones and Let It Snow on DVD. Both wonderful movies, and with all these requests, what’s the hold up? 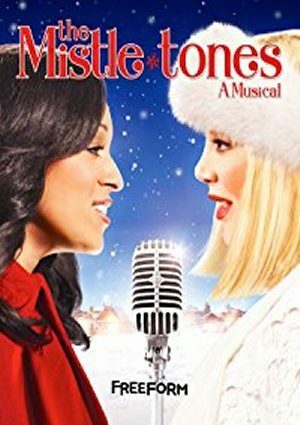 Not only should the Mistle Tones be released on DVD, the 12 Dates of Christmas is also deserving of being released on DVD!!! I LOVE this Movie! I cannot believe you aired it only a few times this Christmas 2013 Season. I purchased a DVD-R for a Christmas present to myself just for recording this movie, and now cannot find another airing of this ABC Family Movie. PLEASE AIR IT (1) MORE TIME!!!! Why do modern Christmas movies feel the need to include swear words? It does not need to be included to get your point across. I was disappointed by that in this movie. We cant live with out this show on DVD . The whole family loves it they are the cutest twin sisters so funny and down to earth. Please get this show on DVD. We would Buy it in a Heart Beat. Will The Mistle-Tones and 12 Dates of Christmas be released on DVD soon? Definitely the 12 Dates of Christmas needs to be released too. Amy Smart was so cute in that movie, and it was such a good Christmas movie!!!! Please please put on DVD or at least air it more than two times. This is a great movie!!! My daughter and I really need a DVD release of this movie. I’ve been watching for one since June and can only find pirated copies online. We’re really hoping something legitimate comes on the market. Fingers crossed!